Being human, we seem to have this need for structure and patterns. It helps us make sense of things. 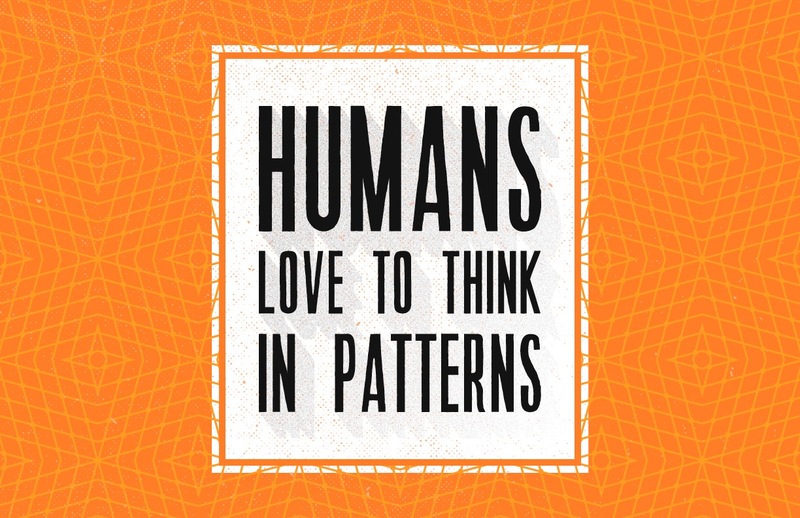 Patterns of thinking help our brain take short cuts – like adding 2+2. We don’t have to count it out, the patterns we learn in elementary math let us short-cut to the answer. But what happens when life doesn’t fit into a pattern we have come to expect? What then? What happens when God doesn’t fit our patterns or expectations? In the text above, some folks have a hard time when Jesus does good work by healing a man. They simply can’t accept when Jesus heals him on the Sabbath. Jesus doesn’t fit the expected pattern. Patterns are good, but much of life can’t be put into a neat little box, and neither can God’s love and mercy. Where are you trying to limit God at work in the world and in your life because it wouldn’t fit your pattern or understanding? Prayer: Lord, your love and mercy show up in many and unexpected ways. Open my eyes and my heart to your presence today. Amen. I recently saw a story on the news about The Ugliest Dog Contest. It’s a real thing. You can check it out here. This year’s winner was Sweepee Rambo. A dog so ugly it’s cute. I think the deeper attraction is that even a critter deemed “ugly” is still such a companion for her owner. Because of her owner’s love, no matter how ugly she is, Sweepee still has value. I think we could look at ourselves the same way – The days we feel ugly, the days we feel worthless – even on those days, the Lord still looks upon us as loveable and of great value. I find hope in verses like the one above from Luke 5. Tax collecters were seen as bad people in Jesus’ day, and yet, Jesus calls Levi (aka Matthew) to be one of the twelve disciples. Jesus could have picked anyone, and he picks Levi. What a message of hope and love. God values even the people the world hates, even people who at times hate themselves. To everyone, everywhere, who ever felt ugly or not good enough or not worthy, the message for today is God still loves you. I don’t know the why, as to why God still loves us, but it’s a clear strand throughout the sacred scriptures that God still love you and me, even when we were ugly and mean to each other, even when we didn’t deserve it. And that’s the definition of grace, and it goes hand-in-hand with love. Not good enough? God loves you anyway. Prayer: Lord, you still love me even when. Thank you. Amen.